If you’re someone who not only embraces the whole eBike movement, but also feels being environmentally conscience is just as important, you my be drawn to the Bamboost. 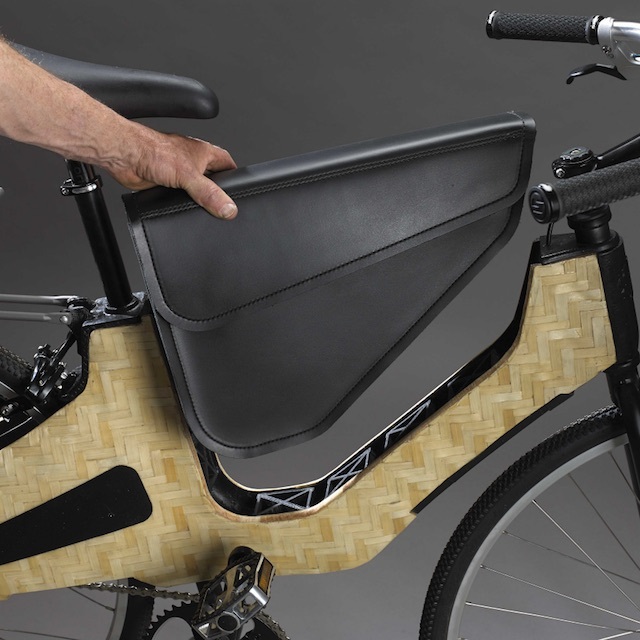 The Bamboost is a bamboo composite pedal-assist e-Bike, using SRAM’s e-Matic system to assist commuters and city riders (especially on hilly streets). The detachable leather messenger bag can hold a rider’s bike charger and lock, with plenty of room left for lunch. The bike is currently in the works at HERObike, which is a design collaborative located in the Alabama Black Belt. HERO began in 1994 by a group of committed citizens who wanted to create a strong community focused on family. As a 501(c)3, provides job training, affordable housing and economic development to build strong communities.